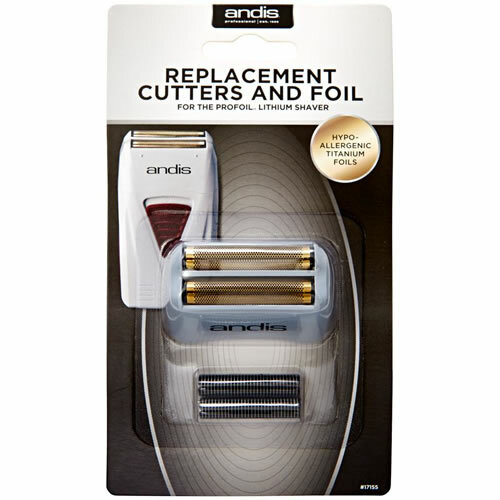 Replacement foil and new cutting head for the Andis ProFoil Lithium Shaver made with hypoallergenic gold for a bump-free shave. £28.74 (inc. VAT) Why no VAT? We're a trade wholesaler and quote our prices without VAT to help our VAT-registered customers understand the true cost of a purchase. Replacement charging cable for the Andis Profoil Lithium Shaver (TS-1). Supplied with UK, EU and US plug adapters. Gentle fade brush with Denman's classic tear-drop handle and extra-soft bristles for precision, comfort and efficient hair removal. Available in Black or White. 20 cm long.